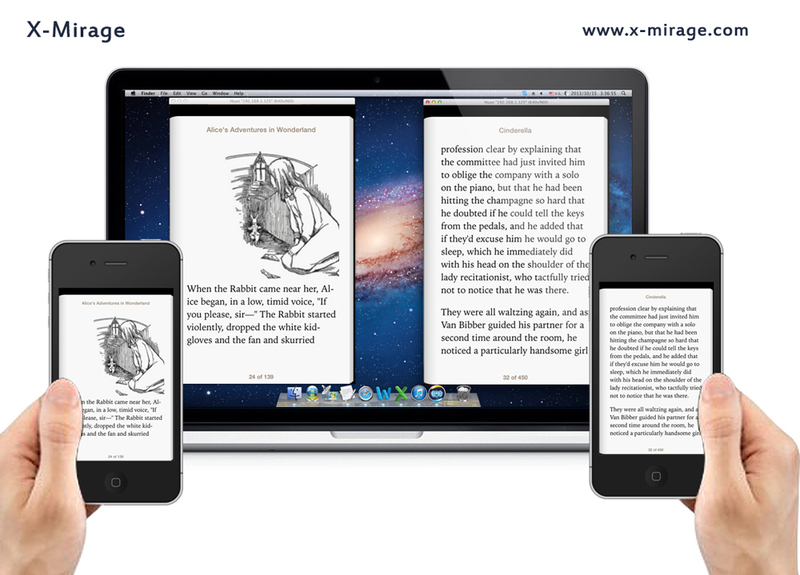 X-Mirage allows you to wirelessly stream contents or mirror iPhone, iPad and iPod screen to any Windows PC and record everything onscreen with one click. 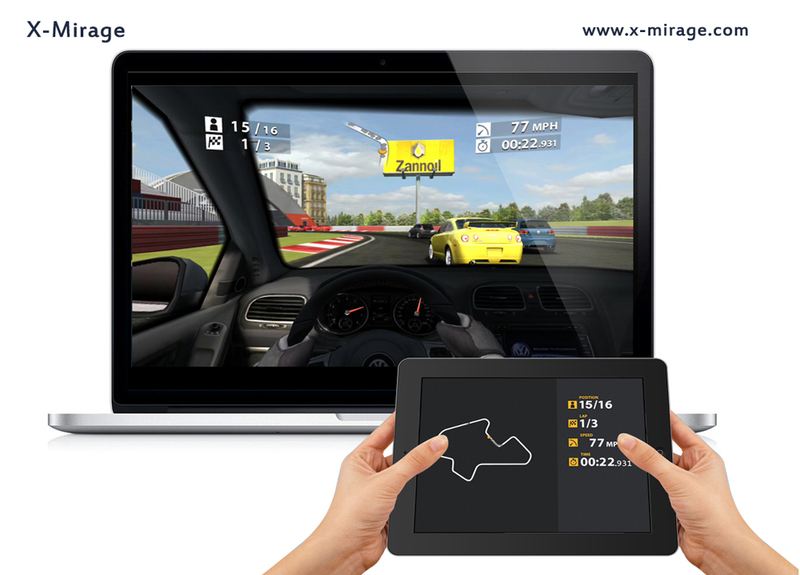 X-Mirage (PC) 1.01.2 was available as a giveaway on June 16, 2014! 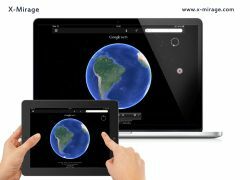 X-Mirage turns your Windows PC into an AirPlay receiver for mirroring whatever on your iPhone, iPad or iPod screen – apps, games, photos, videos, presentations, websites and more to the bigger screen. 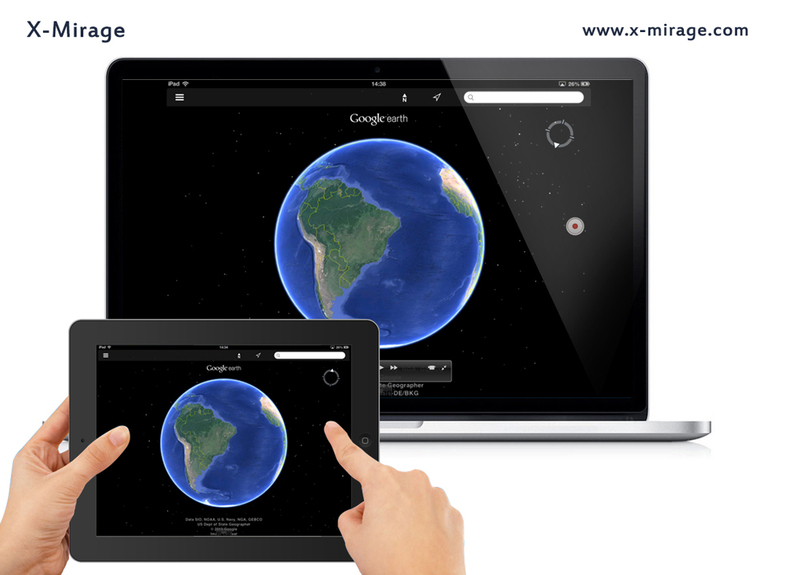 X-Mirage receives AirPlay contents in full HD 1080p high-definition. 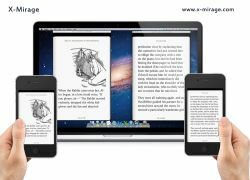 Make demo videos, app design or showcasing, record lessons for students, record iOS games, iOS app tutorials. Whatever you do on your iOS devices can be recorded, then exported. Vacation photos, treasured videos, beautiful music, AirPlay-enabled app, with X-Mirage, you can stream all these to your bigger screen and you just need to sit back on the couch and enjoy the best visual and auditory effect from iOS devices on your PC. How would you improve X-Mirage (PC) 1.01.2? I always wanted to have a way of copying text messages from my Android onto my computer. I think with X-Mirage we definitely have something cooking here. I will look into it and report back with my findings. This worked for straight away. Like magic. The video is little jerky and audio not perfect, but still it is quite good for casual use. I am impressed. Clearly, many people are down-voting this simply because it does not suit their INTERESTS. Shame on those people! I for one NEVER down-vote something simply because I have no interest in it. That's a shameful thing to do. Works great. EZ setup. Iphone & pc/W7. Didn't even hafta watch the How-to Video. I can watch for messages on my extra monitor w/o messing with phone! Cool! Installed well with no problems, and works great. I can play my videos from my phone to my computer so that more than 1 person can view them at one time, perfect! Installed and working fine on my PC with Win 8.1, Update 1. I had to allow the program in my filter software, but had no problems with it afterward. I love how easy it is to use and the quality is fine. I was able to stream videos and my Clash of Clans game on my PC. That will come in handy for these old eyes. :) This will be great to use in my classroom when introducing new apps or just sharing something from my phone or classroom iPad. Well worth $16, I think. Thank you, GAOTD and X-Mirage for a great, unique offering. This is basically what Chromecast is to Android. iPhone 4s or later; iPad 2 or later; iPad mini or later; iPod touch (5th generation). Could have said that it only works on: iPhone 4s or later; iPad 2 or later; iPad mini or later; iPod touch (5th generation). Installed and registered on windows 7. X-Mirage appears on iPhone (ios 7.1.1) under AirPlay. No option for switching on mirroring and on PC it is waiting for connection! Installed and registered on windows 7. X-Mirage appears on iPhone (ios 7.1.1) under AirPlay. No option for switching on mirroring and on PC it is waiting for connection! So does not work! This is very cool for those of us who own iPads and/or iPhones, and use PCs. Worked pretty darn well too. Kinda fun with games, and a quick and easy way to see videos and pictures on a larger screen. And the voting system is not about whether this is something you want or not. This is very cool for those of us who own iPads and/or iPhones, and use PCs. Worked pretty darn well too. Kinda fun with games, and a quick and easy way to see videos and pictures on a larger screen. And the voting system is not about whether this is something you want or not. #15 Allan - the software in that Youtube video will only work on a rooted device. I would like to stream the other way around, from my computer and TV to my iPad. Going it this way, is of no use to me. From the Suggestion Box: "Create an Android version"
AirPlay isn't the only way to connect devices over WiFi -- it's just what Apple products come with. And since Apple for the most part doesn't sell Windows software, X-Mirage stepped in, with software that sets up a AirPlay server in Windows. If you don't have an AirPlay device already, e.g. iPhone, AirPlay might or might not be the best solution. Google miracast for example. #16: " HOWEVER, when I try to record the streaming video to my laptop, the program crashes after a few minutes." I *think* that as a practical matter, streaming or casting video from your hand-held to a connected TV [either to a smart TV or through another box or device], isn't as popular as just streaming on-line video directly -- with a connected PC/laptop even more so. Could you access the same content on your laptop directly or via something like DropBox? For screen recording I like Ashampoo's Snap, but there are loads of choices out there. One thing that can make it more difficult, other than DRM, if when the same graphics hardware that might help with capture is already busy displaying the video -- depending on what you're using to play that video you might be able to turn graphics hardware acceleration off, e.g. Flash lets you turn it on/off. From the Suggestion Box: <i>"Create an Android version"</i> AirPlay isn't the only way to connect devices over WiFi -- it's just what Apple products come with. And since Apple for the most part doesn't sell Windows software, X-Mirage stepped in, with software that sets up a AirPlay server in Windows. If you don't have an AirPlay device already, e.g. iPhone, AirPlay might or might not be the best solution. Google miracast for example. * * * #16: <i>" HOWEVER, when I try to record the streaming video to my laptop, the program crashes after a few minutes. "</i> I *think* that as a practical matter, streaming or casting video from your hand-held to a connected TV [either to a smart TV or through another box or device], isn't as popular as just streaming on-line video directly -- with a connected PC/laptop even more so. Could you access the same content on your laptop directly or via something like DropBox? For screen recording I like Ashampoo's Snap, but there are loads of choices out there. One thing that can make it more difficult, other than DRM, if when the same graphics hardware that might help with capture is already busy displaying the video -- depending on what you're using to play that video you might be able to turn graphics hardware acceleration off, e.g. Flash lets you turn it on/off. AirPlay is part of the Apple ecosystem, but that doesn't mean you need Apple hardware to use it. There are Android apps for casting, & different Android device manufacturers, e.g. Samsung, have their own proprietary software. And some of those apps work with AirPlay, though you might have to install one app for music, one for screen mirroring etc. Whether they will they work with your device let alone X-Mirage is something you'd have to try, but since X-Mirage is on GOTD, & even the premium apps have a trial, there's not a huge amount of risk involved. Google Android Airplay as well as search the Amazon App Store & Google Play. You can also of course check the manufacturer installed software on your device, & see if it works with AirPlay. AirPlay is part of the Apple ecosystem, but that doesn't mean you need Apple hardware to use it. There are Android apps for casting, &amp; different Android device manufacturers, e.g. Samsung, have their own proprietary software. And some of those apps work with AirPlay, though you might have to install one app for music, one for screen mirroring etc. Whether they will they work with your device let alone X-Mirage is something you'd have to try, but since X-Mirage is on GOTD, &amp; even the premium apps have a trial, there's not a huge amount of risk involved. Google Android Airplay as well as search the Amazon App Store &amp; Google Play. You can also of course check the manufacturer installed software on your device, &amp; see if it works with AirPlay. Looks like pretty good software. Displays my images on my iPhone 4S to my Laptop PC with Win 8.1 Update 1. I had some minor problem finding the AirPlay on the iPhone. One of my uses, I think, is the PCscreen acts like a magnifier to what is on the little iPhone screen. I found what appears as a "record" button on the PC Screen, but am not sure what is being recorded or where it is being filed. Thanks GAOTD for another great find! Program installs fine and mirrors to my laptop without any trouble. HOWEVER, when I try to record the streaming video to my laptop, the program crashes after a few minutes. Apparently this is a common problem. I checked the X-mirage support website and others have complained of the same problem. X-mirage said they would look into the problem 27 days ago. A long time to wait for a reply! I did contact via that e-mail stating my problem. I got a reply asking "what is the problem" so I added even more detail and still no reply. You support staff aren't very helpful. X-Mirage I did contact via that e-mail stating my problem. I got a reply asking "what is the problem" so I added even more detail and still no reply. You support staff aren't very helpful. I was curious so had a quick search on Google play store for air play and there are android apps that act as air play senders for android devices to air play receivers, might even work with this... No idea as only just looked and don't like the sound of a 1 year trial. So don't discard this simply because it is apple-centric, android maybe able to fake it with the right app! I was curious so had a quick search on Google play store for air play and there are android apps that act as air play senders for android devices to air play receivers, might even work with this... No idea as only just looked and don't like the sound of a 1 year trial. So don't discard this simply because it is apple-centric, android maybe able to fake it with the right app! I assist in computer courses for the elderly. Both PC and iPad. The iPad course is presented on a PC, but the teacher will occasionally disconnect the PC from the beamer and connect the iPad to show some live iPad actions. Then he has to reconnect his PC again to the beamer. This program makes it possible to keep the PC connected to the beamer permanently and show live iPad ikmages via the PC. The quality is less than when the iPad connected directly, however. I assist in computer courses for the elderly. Both PC and iPad. The iPad course is presented on a PC, but the teacher will occasionally disconnect the PC from the beamer and connect the iPad to show some live iPad actions. Then he has to reconnect his PC again to the beamer. This program makes it possible to keep the PC connected to the beamer permanently and show live iPad ikmages via the PC. The quality is less than when the iPad connected directly, however. well it said it was for Iphone &Ipad and if you read and understand there would not be all the fools that tried it on Android. Then you have all the thumb down fools selfish people if they don't want it they mislead others by giving thumbs down. well it said it was for Iphone &amp;Ipad and if you read and understand there would not be all the fools that tried it on Android. Then you have all the thumb down fools selfish people if they don't want it they mislead others by giving thumbs down. Hi Ashley Forrest, please send email to support@x-mirage.com, we'd like to solve the problem for you. >Price:	The program is available for $16, but it will be free for our >visitors as a time-limited offer. As XP-Man says, only a one year activation. Works very well. Mirrors my ipad without problems, incl. sound etc. Very nice! If only the activation would be for more than a year, and or they would offer a reduced special for GOTD. This way I will use it, but hope there will be another solution available in the next year. Do not really like companies with this kind of half truth...: it is free, but than it is not, or half, or limited!!! &gt;Price:	The program is available for $16, but it will be free for our &gt;visitors as a time-limited offer. As XP-Man says, only a one year activation. Works very well. Mirrors my ipad without problems, incl. sound etc. Very nice! If only the activation would be for more than a year, and or they would offer a reduced special for GOTD. This way I will use it, but hope there will be another solution available in the next year. Do not really like companies with this kind of half truth...: it is free, but than it is not, or half, or limited!!! Would be a good program if it did anything. The iphone says it connects but the PC says still waiting...tried adding password and the iphone registers that a password was needed but still the pc cannot see it. Hi, nanoboy, if you choose to only stream music, the iOS screen doesn't appear on Mac or PC. if you also want to show a mirror of iOS screen, please turn on Mirroring on iOS device. Please note: The free code is valid within one year. So it's either a year's trial or it is an annual subscription for the program. I didn't proceed any further with this program! When I went to retrieve my serial code to register the program, included in the message was the following:- <i>Please note: The free code is valid within one year.</i> So it's either a year's trial or it is an annual subscription for the program. I didn't proceed any further with this program! Downloaded and registered without any problem - on running the program I realize this only works with Apple tablets/phones. It isn't fair to vote the software down, just because it's aimed to reach Apple users. However, I don't own one single Apple thing, and I won't need today's offer - and as mentioned before, that doesn't mean, it's poor software. It's just useless in my case. Does thsi work with tablets and smartphones or just apple products? Bit useless if not as I only have a tablet. Be really great if it could cover all smartphones too. Does thsi work with tablets and smartphones or just apple products? Bit useless if not as I only have a tablet. Be really great if it could cover all smartphones too. you can stream music pretty good but did not show a mirror of my screen. Maybe this only work on a MAC and not on a PC.